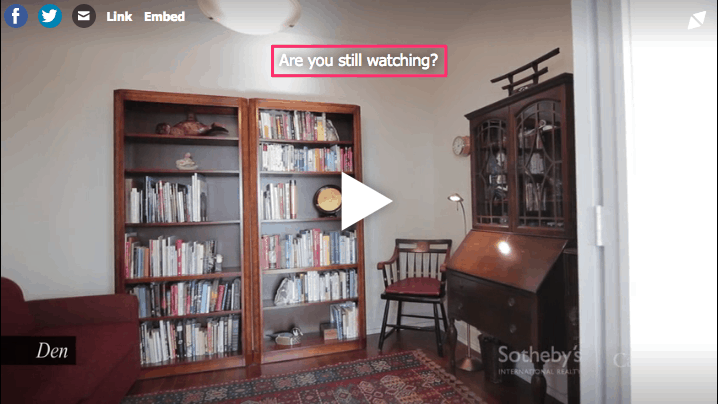 This feature will prompt the viewer to verify they are still watching the video, by asking "Are you still watching"? This prompt will occur at set intervals, according to what interval has been chosen in the shortcode editor. This feature can save bandwidth and data by preventing unnecessary video streaming, after the viewer has left the room and is no longer watching, or has fallen asleep. You can see this feature in action by watching these videos. The interval has been set to 30 seconds, for the first video. The interval has been set to one hour, for the second video.